This section includes some historical background of where the story of "The Dane" came from and will later be expanded with links to academic resources and study guides, as well as some of the research collected that was utilized in the development of this project. Not many people outside scholarly circles realize that Shakespeare got the story of Hamlet from another source. It is derived from the Books of Danish History by Saxo Grammaticus, written around 1185, and published in print for the first time in 1514. It was later recreated in French through Belleforest's "Histoires tragiques", printed around 1572, which is the most likely source of reference for Shakespeare since it would have been in circulation in London. The parallels between the story from Saxo Grammaticus and Shakespeare's rendition are so strikingly similar they cannot be ignored. 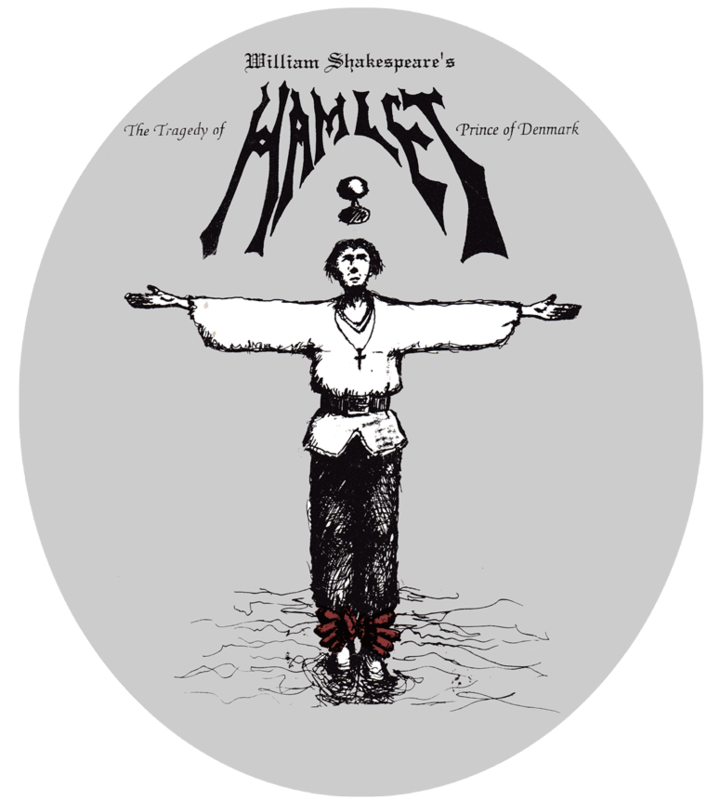 Although the names are different (some only slightly such as 'Amleth' vs. 'Hamlet'), the plot points are identical in many ways except for some interesting variations. You can read the story translated into English here: The First Nine Books of the Danish History of Saxo Grammaticus. Amleth is first mentioned on page 106 in the third paragraph. 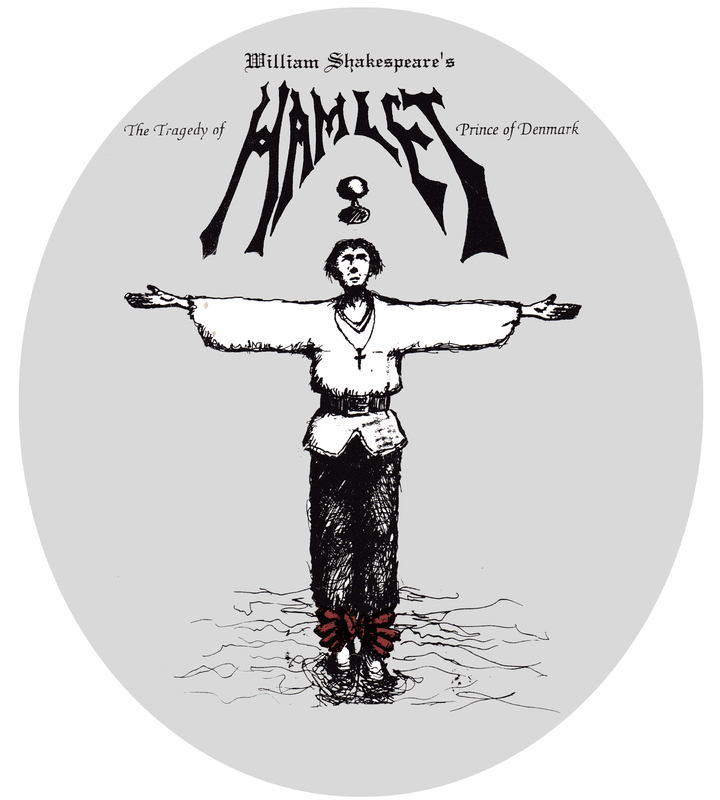 For a brief summary of the story of Amlet and even more fun facts about the various legends and possible origins of the Hamlet story, check out this Wikipedia page on the legend of Hamlet. Facsimiles of the published plays. The facimiles are photographic reproductions of the original printed texts. 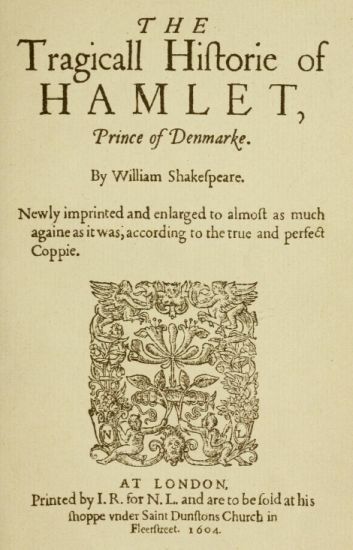 There were many versions of Hamlet that were published in the 1600s, but the most important three in terms of its history and content are the 1st Quarto, the 2nd Quarto, and the version in the 1st Folio, which also contains the rest of Shakespeare's works. Click on the links to see how the text was originally printed. Denmark initially controlled the "Kalmar Union" which consisted of Norway, Denmark, and Sweden. In January of 1523, the Danish nobles removed Christian II from the throne of Denmark and gave it to his uncle, Frederick I - which is eerily similar to Claudius getting the throne instead of Hamlet. However, Christian II was married with kids and had a bit of a reputation as a tyrant. In June of 1523, Gustav I took the throne of Sweden and separated itself from Denmark's rule. They will still fighting over territory, and Denmark still retained control of both sides of the straight where castle Elsinore (Helsingør) is located. This bit of history led to changing the military threat at the beginning of the story to come from Sweden, not Norway as in Shakespeare's version. It's nearly midway through Henry VIII's reign in England, who had strong ties with Christian II, including permission to enact piracy against his enemies (meaning Frederick I). This loosely parallel's Claudius' relationship with England when he sends Hamlet there. Piracy, both rogue and politically financed, was a major problem all over the European seas. While there was quite a bit of rumblings about many of the practices by the Catholic clergy, and had been for some time, the Protestant reformation didn't really kick off until Oct 31, 1517, when Martin Luther posted his 95 Theses on the doors to the church of Wittenberg (where Hamlet was going to school). By the 1520s, the reformation was spreading and gaining influence in Germany, Denmark, Norway, and Sweden. But Catholicism was still the official religion of those countries, and would be for awhile yet. So since most of the religious references are based in Catholic practices, except for Horatio's "philosophy" that Hamlet refers to (which is probably the Protestant faith), this time period would be a good match for The Dane's religious plot points. Granted, we aren't recreating actual history here. The story is based on tales from many hundreds of years earlier, may. But in order for our adaptation of Shakespeare's adaptation to make the most sense, in our view, it's best to set it in the right place and time so that the audience will see it in the most accurate context possible. Why choose “ The Dane ” for the title? For many people, Shakespeare can be intimidating. 'Hamlet' has an immediate association, and may be a bit of put off to those that aren't already fans. Although we have kept most of the language, we've gone to great lengths to revise bits and pieces as needed so that the film can be understood by a wider audience, regardless of educational background. We decided a shift in title will help reflect that and open up the audience base. Also, we figured those who already enjoy Shakespeare and like Hamlet will probably see the movie anyway, despite the title change. This wouldn't be the first time the story has been changed and given a new title. It used to be called Amleth and before that Amlodi before Shakespeare changed it to Hamlet. See the origins of the story above. Until we settled on a title, we were just calling it "the Hamlet project" or "Project Hamlet". The actual choice of 'The Dane' came from working on the pre-visualization of the opening sequence, which begins with a sonnet written in Shakespeare's style that sets up the back story. The last line is "This be the tale of Prince Hamlet the Dane". After that line, it goes directly into the title sequence. When spoken aloud, there was something to the ring to it. We experimented with some logo artwork and bounced the idea off of test groups. The response was very positive, so we decided to go with 'The Dane' as the title. Changing the title also separates it out from other previous adaptations. For instance, if you were to search "Hamlet movie" on the web, a long list shows up. But if you search for "The Dane movie", it shows up within the first ten hits. Not that this next point was a deciding factor, but it's an interesting side effect. Supposedly there has been some research that indicates when viewers are browsing through video-on-demand titles, they tend not have gone further than the letter D before they have picked something. This won't come into play until much later in the distribution life-cycle, and we have no idea how to measure the effectiveness of it, but we figure if it helps then it's a bonus. "Why not 'Amleth'? That starts with 'A'."... you might be thinking. But Amleth has a different story line than Hamlet, and I don't want there to be confusion between the two. 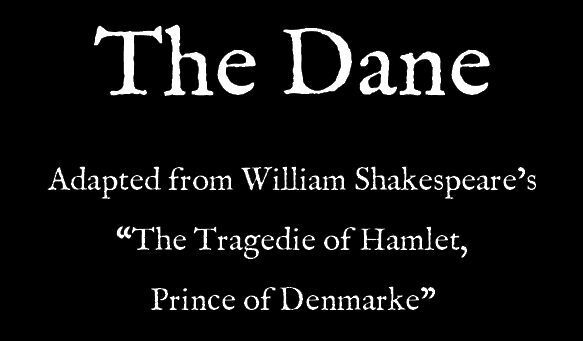 Following is a brief description of how initial concept for 'The Dane' came about when Christopher directed a staged production of Hamlet in his senior year at UCLA.